Your company's software could be worth a small fortune even if you no longer need it. Here's how to extract the most value from your intellectual property. Last month, BlackBerry announced that it was quitting the phone-making business, but the BlackBerry name will live on. That's because the company has entered into a licensing agreement with an Indonesian company that will manufacture, distribute and promote BlackBerry-branded devices running BlackBerry software. The situation is similar at Nokia. The Finnish company left the feature phone business it used to dominate and instead is licensing its name and numerous patents to two companies — one Chinese and one Finnish — that will work together to produce Nokia-branded handsets. Both Nokia and BlackBerry happen to be phone companies, but what's more relevant is the fact that both companies have made a pivot and abandoned businesses that were no longer profitable to concentrate on other, more promising activities. And for both companies, part of the exit strategy was to get the most value from the software they had developed but no longer needed, along with the associated intellectual property (IP). Businesses can (and do) pivot all the time, so an important question for any CIO to ask is this: "Am I taking all possible steps to ensure that the value of our software will be maximized in the event that we decide to license or sell it and exit our current field of business?" The first thing to decide, well before any potential future pivot, is whether your company has anything of value, says Juan Crosby, the head of technology in the legal team at professional services company PricewaterhouseCoopers. "You need to ask: 'Are we creating IP, and if so are we protecting it in the right way?'" he says. "When a CIO is creating IP of any kind then they need to ensure that it is protected — either by an in-house legal team or externally." Nokia, for example, has built up a huge stack of patents for many of the innovations that it developed over the years in the phone market, and it is these that it is now exploiting. Crosby stresses that you need to think about patenting your company's innovations as early as possible — and to be discrete about things while you go through the process. But what can you do if you have never previously thought about patenting your technology and your company is now considering exiting a particular business? Is it too late to capitalize on your IP? Not necessarily, says Jonathan Nugent, senior IP, IT and commercial lawyer at PricewaterhouseCoopers. "It is usually difficult to get a patent much later, but if the technology has been kept secret and not been put in the public domain then it is certainly possible that you could still patent it," Nugent says. "With software in particular it may be that no-one knows how it does what it does. If you have never shipped the source code then it is possible that something patentable is in there." But he warns that if you have not made a move to get a software patent within about five years then it probably won't be innovative anymore because someone else will have had a similar idea. This is a particular problem in the fast-evolving world of software, he says. Nugent points out that even if you haven't patented something, you still get some protection in the form of copyright, which arises automatically in software. The problem is that copyright is not a direct substitute for a patent, he says. "A patent is more powerful than other IP rights. That's because it can stop other people from doing something. Copyright stops people copying your code, but a patent stops anyone else from designing their own solution. That's important, as your company could be the only one that can do ‘X’, so your software will always be better." 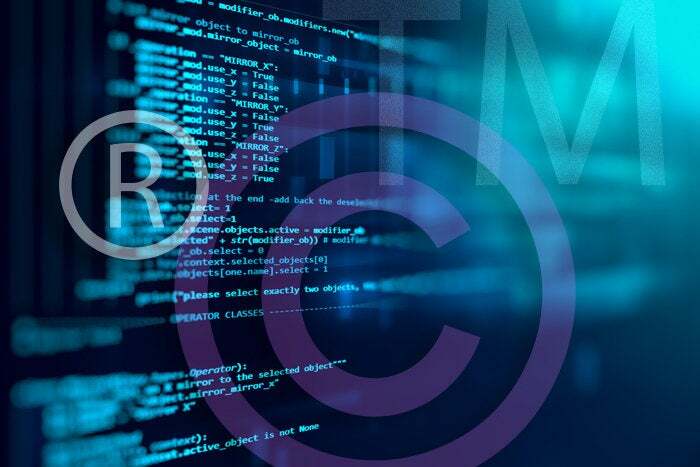 There's another potential problem with copyright: your company automatically has the copyright to any code written by employees, but that's not necessarily the case with code written by contractors. In order to ensure that your company, and not the contractor, owns the copyright to code that you paid to be developed, you need to ensure that the contractor signs an agreement handing over the IP to you. Unfortunately, says Nugent, many companies aren't good at getting this paperwork done. If that's the case in your organization, it could be a setback to any plans you might have to license or sell your code. There are also important questions to be answered about whether a licensee can modify your code or whether you would be responsible for carrying out that work on their behalf, and who would subsequently be able to use those modifications. And then there is the issue of whether there are any circumstances under which you’d be willing to let go of your source code. Even if you regard it as crown jewels that you should never divulge, a licensee of business-critical software could quite reasonably demand that they get a copy of your source code, or at the very least that it be held in escrow to provide them with some protection in the event that your company goes out of business. Yet another potential problem that needs to be tackled is that a significant proportion of proprietary software — perhaps most — includes open source components, whether you as a CIO are aware of this or not. For example, if the open source code in question is licensed under a restrictive license, such as the GPL v2 or GPL v3, then, in some circumstances, the whole new body of code becomes subject to the restrictive open source license. This means that users have a right to access the source code not just of the open source components, but your code as well. For this reason, it's important to get a scanning company (such as Black Duck Software) to check your code and find any open source components in it, says Crosby. If open source code with a permissive license is found, that is probably not a showstopper. But any that has a restrictive license may have to be stripped out and the functionality replaced before you can license or sell the software. Another business decision is whether — like Nokia and Blackberry — your company name or brand should be licensed along with your intellectual property. That’s a decision for the CEO, but any brand licensing agreement should include some form of quality control or restrictions about what your software can be used for to avoid risking damaging your brand, Crosby suggests. One final piece of advice from Nugent is to talk to your tax people, before you license or sell any software or patents. That's because you may be eligible for significant tax breaks on profits made from patented inventions (including software inventions) or for research and development spending. The message from all this is simple: exiting a business doesn't mean that the software you've developed for it is no longer an asset to your company. In fact, the reverse may well be true: if you take the necessary steps, your unneeded software may prove to be very valuable indeed.